Give your loved one a gift they can carry with them. 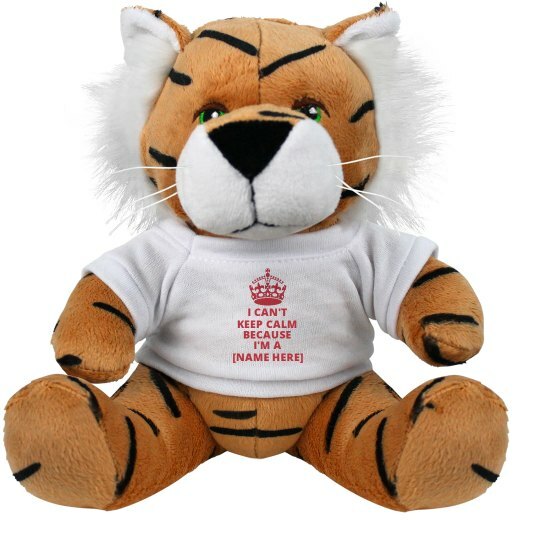 Our personalized Tiger can be customized with a message to your soldier, child or for anyone, and they'll always have you close! Your school mascot a tiger? Then you have the perfect cheer of sports gift. Keep calm and carry on! Or rather, you can't keep calm because you're a...! Hop on this trend and customize your own family, club, or organization! Customize this design and make the next family reunion celebration unique.